I am beyond excited to share our Christmas spirit with you! Our apartment home is Christmas ready, and J could not be happier. Seeing his expression every time he looks at trees, lights, and anything bright brings so much joy to me. Now that he is almost two, he has the ability to share his excitement with us. Sharing a few photos from “mi casa a su casa” this holiday season. 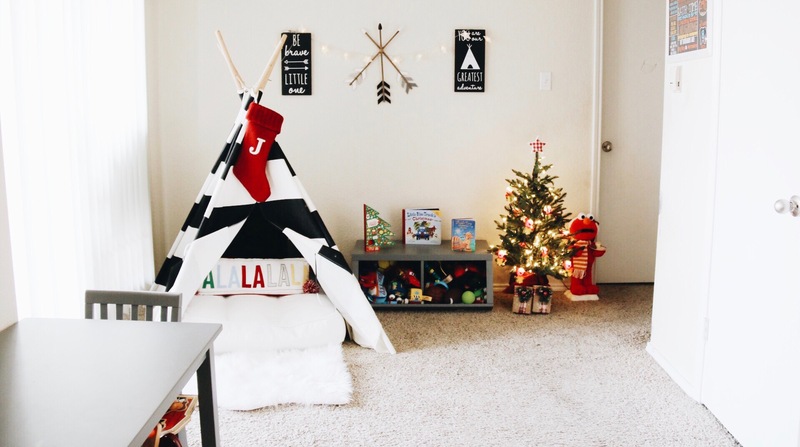 First up is the living room, we kept it simple this year. I love how the neutral colors turned out. It makes me feel all cozy inside with it not being too much and everything flowing together. 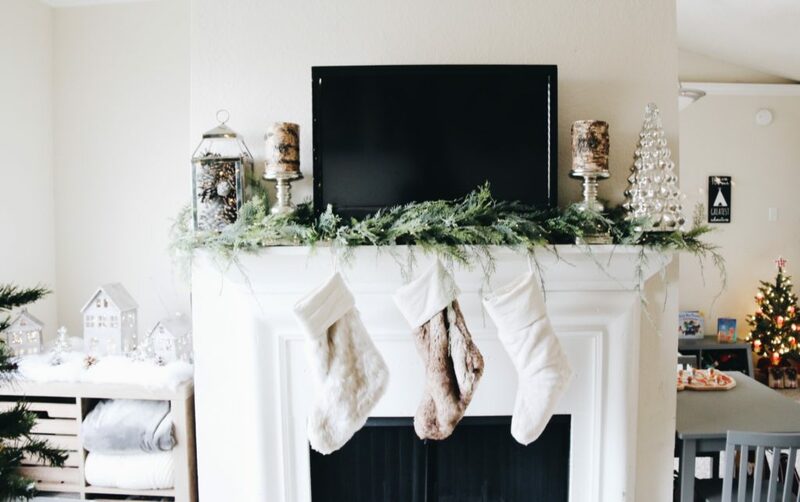 The mantle is the first thing you will see as you walk in. By taking advantage of all the sales, we avoided paying full price on everything which is always a plus this time of year. The garland and lights that we used were from Pier One. 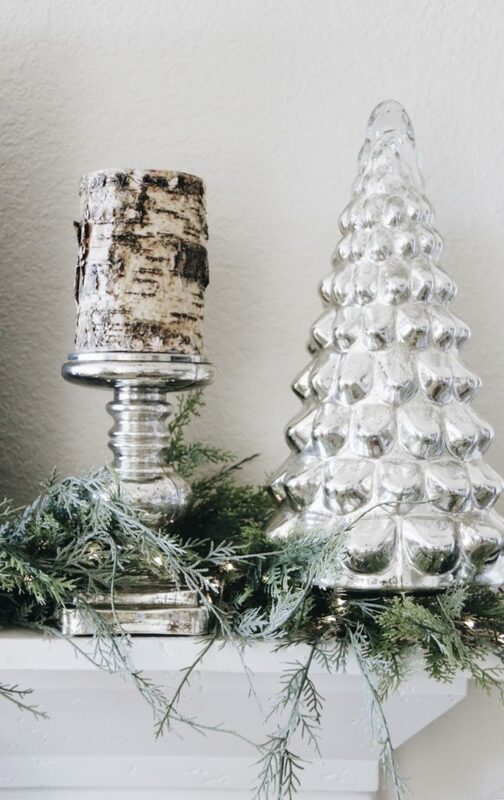 I got the candlesticks last season from Pottery Barn. The Pottery Barn in Southlake Town Square is our favorite. 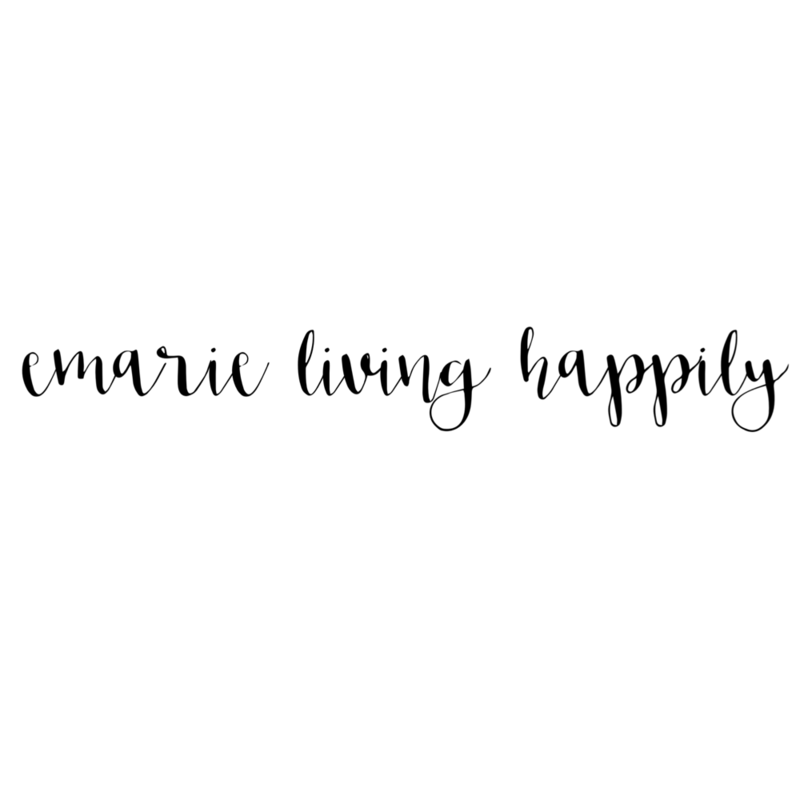 They are extremely helpful and are always so kind. The end pieces are from Pottery Barn too. 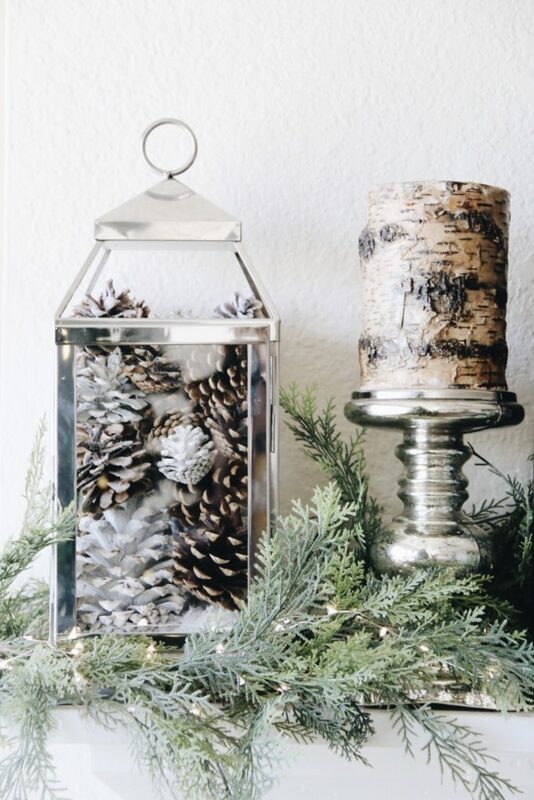 I used pine cones in the lantern for a more nature feel, and because they went with the candles really well. The stockings are my favorite. Mixing and matching them is new to me, but I love how they turned out. On the left of our mantle we have a wooden cubby. And on top I put together a little village using the same lights that I used for the mantle. The lantern houses were 50 percent off at Pier One. Something I love about these lights is their battery/remote operation. I think that is just so simple and makes these lights for easy use. 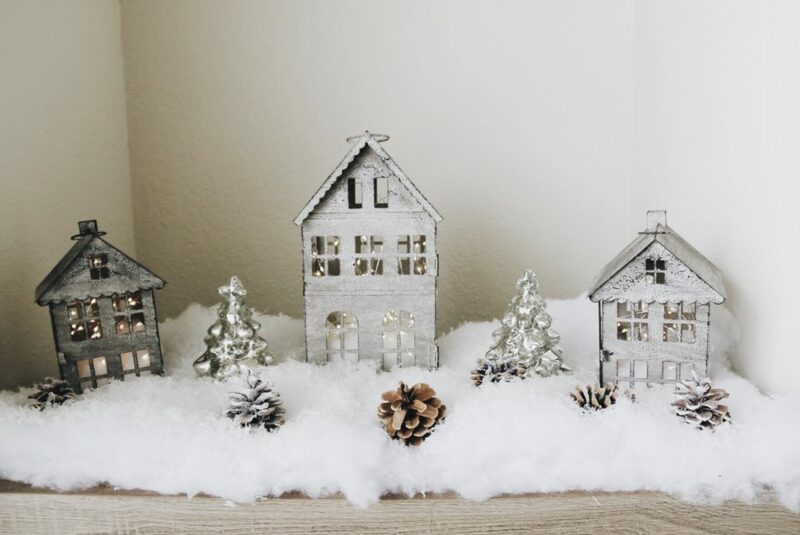 The silver trees are from Pottery Barn and the faux snow is from Hobby Lobby. I just placed the leftover pine cones on there. We did not do ornaments this year for the tree because I wanted to avoid breakage for when I’m not looking. (Glass is so hard to get out of carpet) Jermaine loves the bright ball lights, and everyday he says “Woooow”. It cracks me up every time! We got our tree from Walmart last year. My best friend had one in her house and I fell in love with it. It’s so easy to put up. Next year we might do a real tree for the house. Home Goods was the perfect place to find our tree skirt. I think it goes well with the neutral color scheme. We put J’s little rocking reindeer my sister in law gave to him in front of the tree because he is obsessed with riding and staring at the lights or the TV. The end tables were also kept simple. 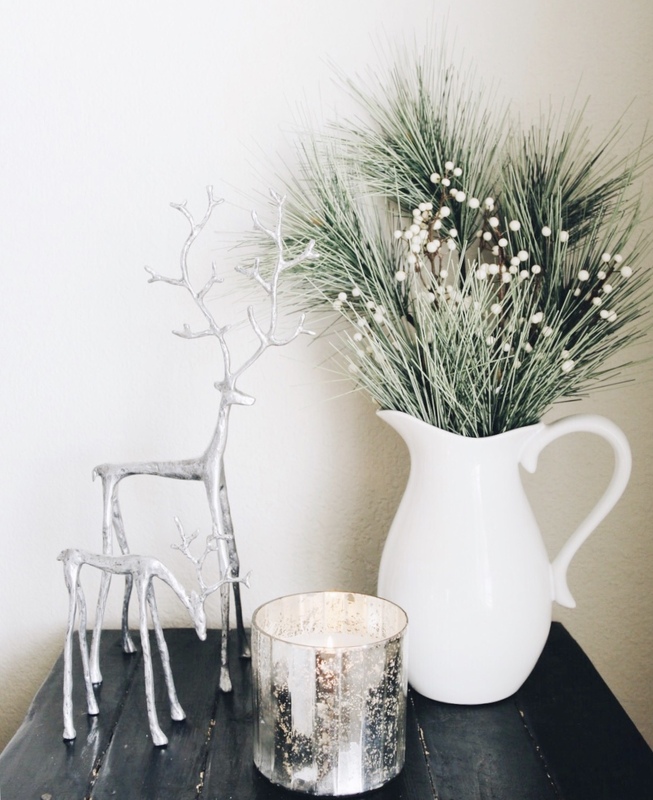 I used the same white pitcher from the fall, and just switched the wheat to pine and white berries. I believe Target still carries these pitchers. It’s such a great way to decorate year round. I just love these reindeer, they are so cute. 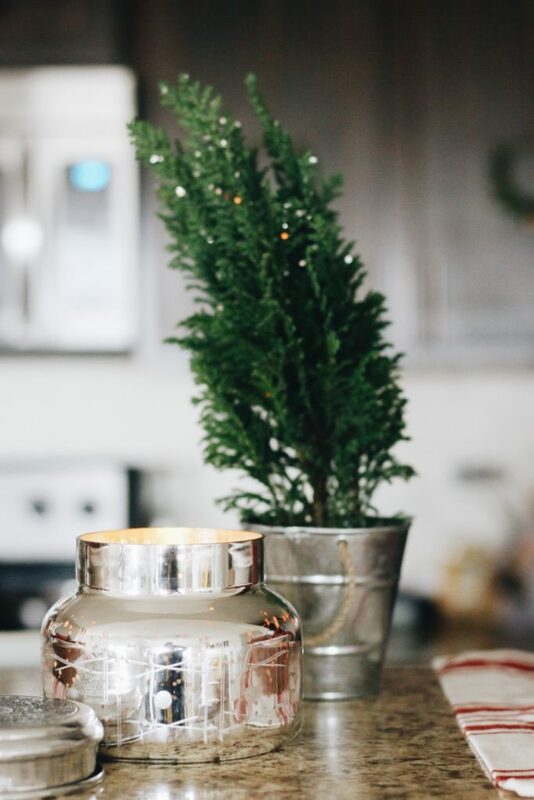 Finishing it up with a candle is always classic, my favorite thing to do. 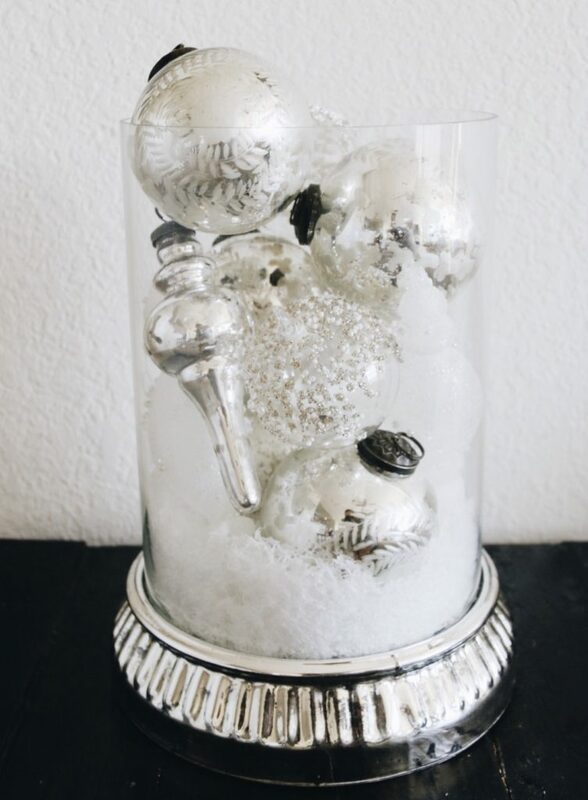 On the other end table, I turned this candle holder into a glass ornament dream. 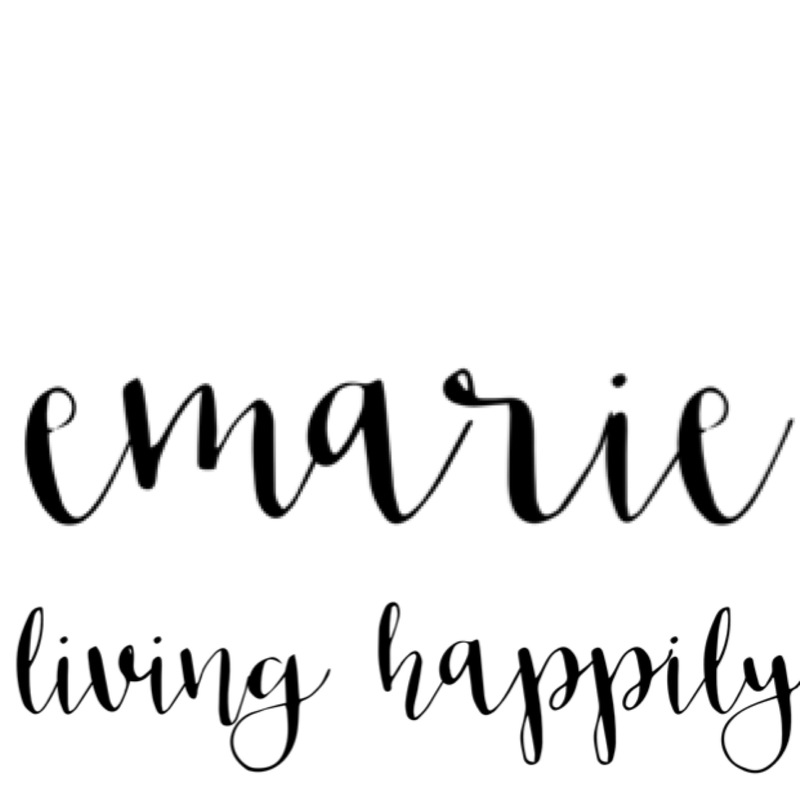 I had so much fun with this project! At the bottom I placed some faux snow, and then placed these mixed matched ornaments. I love the turnout! 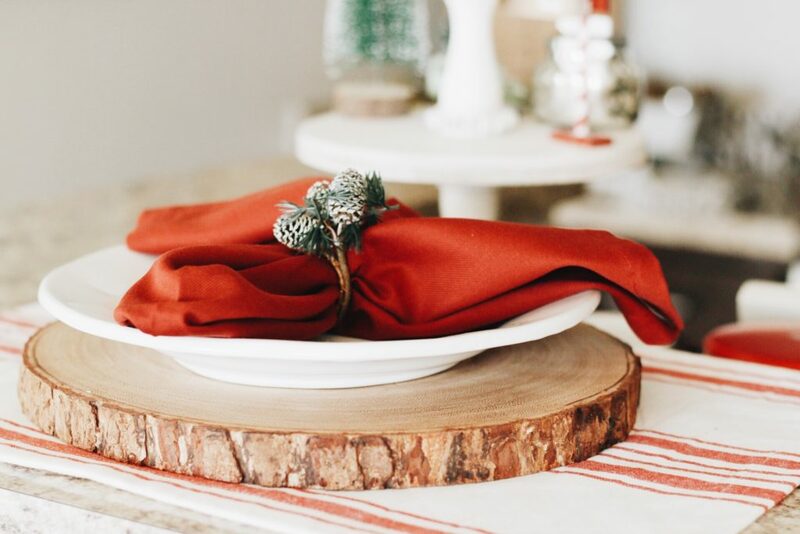 So simple, yet festive. To the right when you walk in, we have our bar area. For the kitchen and bar area I used hints of red. I have two placemats that I picked up from World Market. On top of the placemats I have a wooden block, a white plate, and red napkins with pine cone napkin holders. In the middle I put my favorite candle from Anthropologie, in the scent volcano. And I put a little tree that I got from Trader Joe’s in there too. 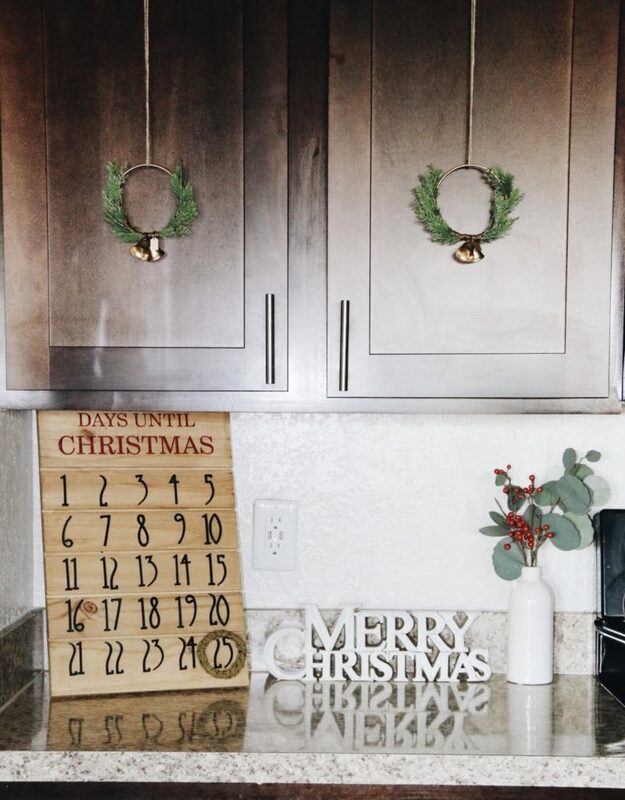 In the kitchen I have our Christmas countdown and some small wreaths on our cabinets, both from Target. 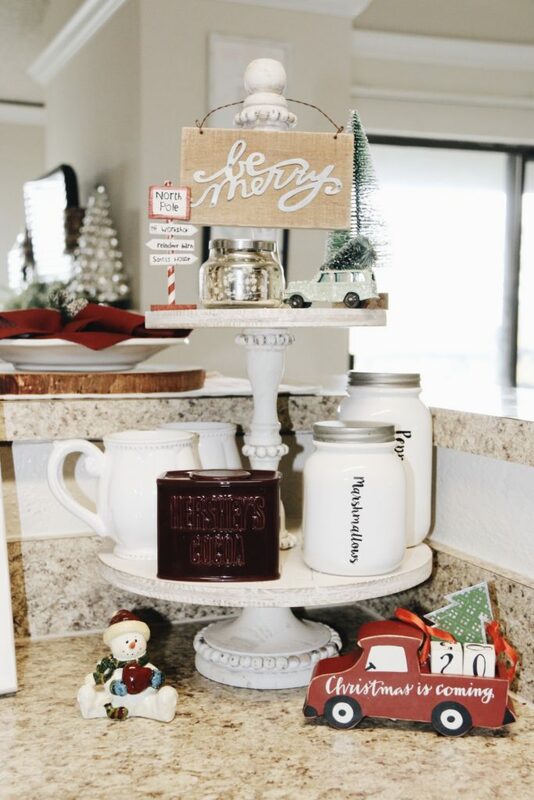 On the other side of the kitchen is our hot cocoa station. This stand is from my trip to Magnolia Market at the Silos in Waco. On the bottom I have two cups for hot cocoa, peppermint sticks, and marshmallows. On the top I just have a few festive things, an ornament that’s also from the Silos, a little candle, and a “merry” sign from Nordstrom. The red truck countdown that J picked out was also from Nordstrom. 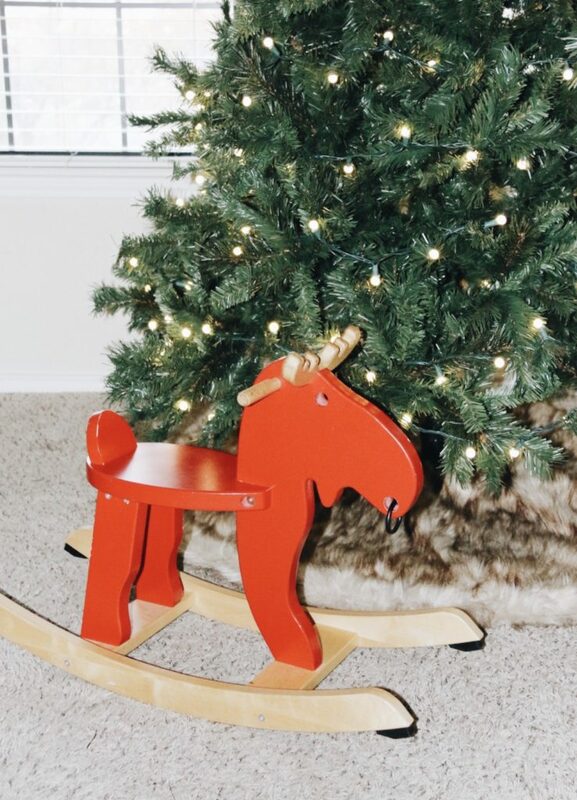 I just added a few things in J’s playroom, he has his own little Christmas tree from Pottery Barn Kids. The Elmo lights were given to him by his grandparents, along with the actual Elmo. His little J stocking is from Target. Together we picked out his Christmas books at Barnes & Noble. They had a nice little special for buy one get one free, he had so much fun picking out the singing Christmas book. We finally got him a little activity table not too long ago, he’s been in love with it ever since. He colors, reads, and completes puzzles while sitting at the table. 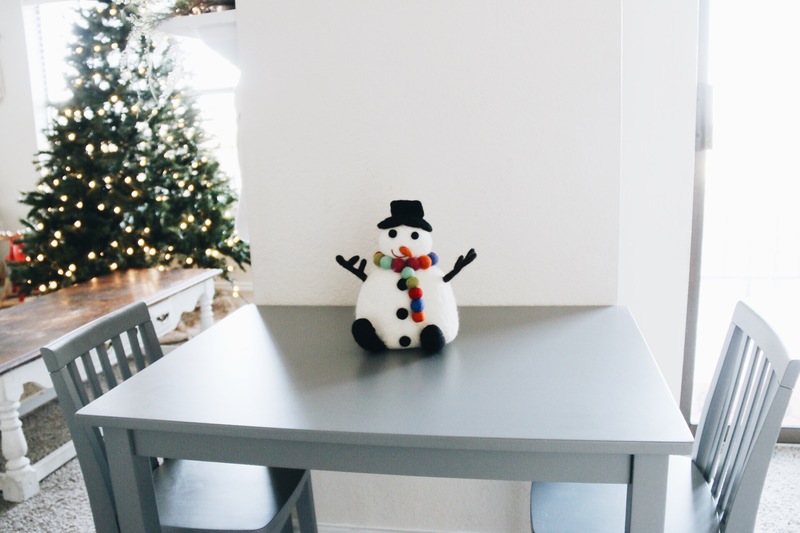 So I just added a snowman to keep him company. Finally, the bedroom. My favorite part! 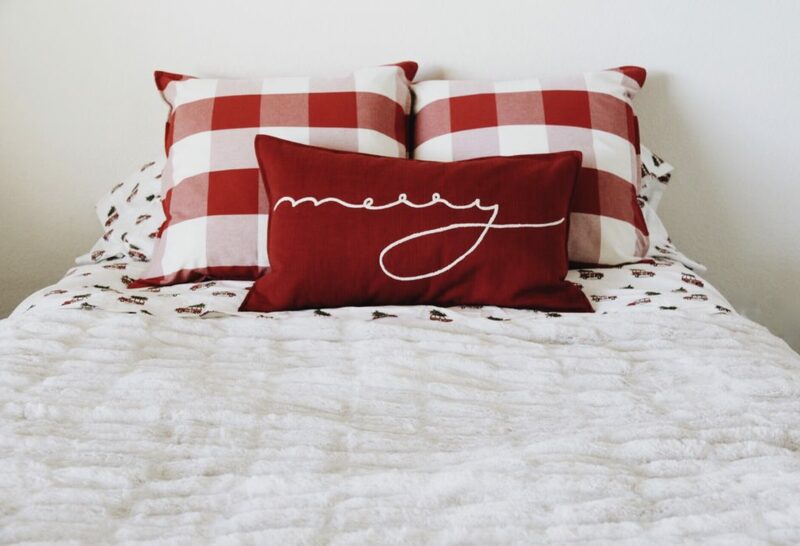 The moment we saw these Christmas sheets we knew we had to get them. Not only for us, but because J has fallen in love with the little red cars. Who wouldn’t?! We switched out our plain white pillows for some Christmas plaid, put on our softest blanket, and voila! On our dresser there is a light up tree/J’s night light, his bear, a candle, and our little snow globe of Jesus nativity. 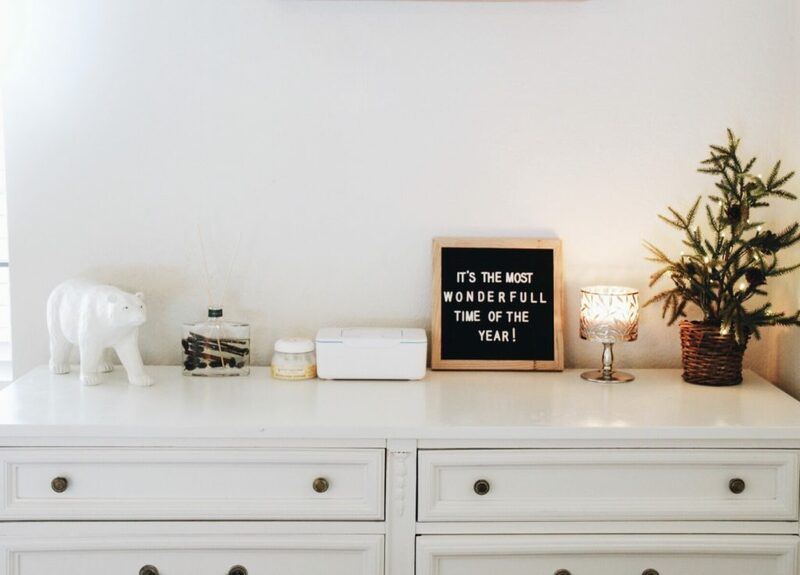 This year I wanted to stay simple and cozy, focusing on simplicity and the meaning of this time of year. I am incredibly thankful for our home today and our future home. I have watched our home grow each year, and each year it gets sweeter and sweeter. Knowing that this is our last year in our apartment makes me appreciate everything we have been blessed with. Being able to grow and evolve with my family is truly remarkable and the biggest blessing of all. We are thanking God for everything he does and has done for our family, and we are praying for us to keep on the path he has laid for us. I hope everyone has a wonderful Christmas, God Bless. Love it E! Merry Christmas! Thank you Keeks! I hope you and your beautiful family have a wonderful Christmas. Give DJ some loving for me!